The ministry of industry and information technology (miit) issued 365 industry standards with the approval of announcement no. 67 of 2018 on dec 21, 2018. 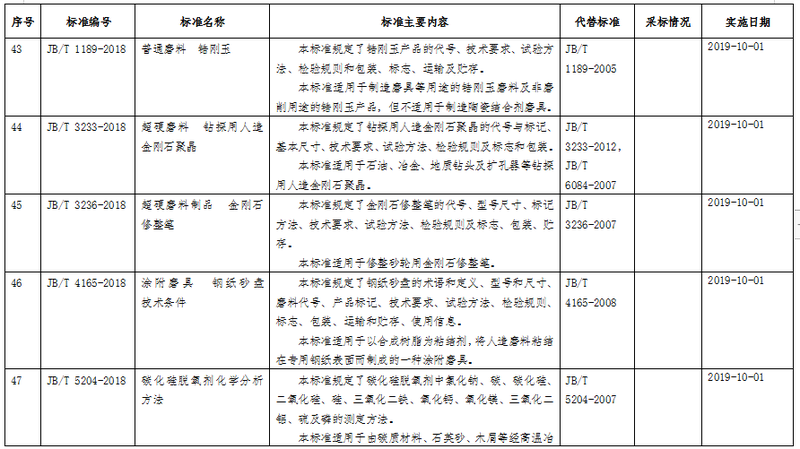 [photo/VCG]According to the attachment to the announcement, 10 of the approved industrial standards related to the professional field of abrasive and abrasive tools (see the table below for the standard number and name) were implemented in October 2019. 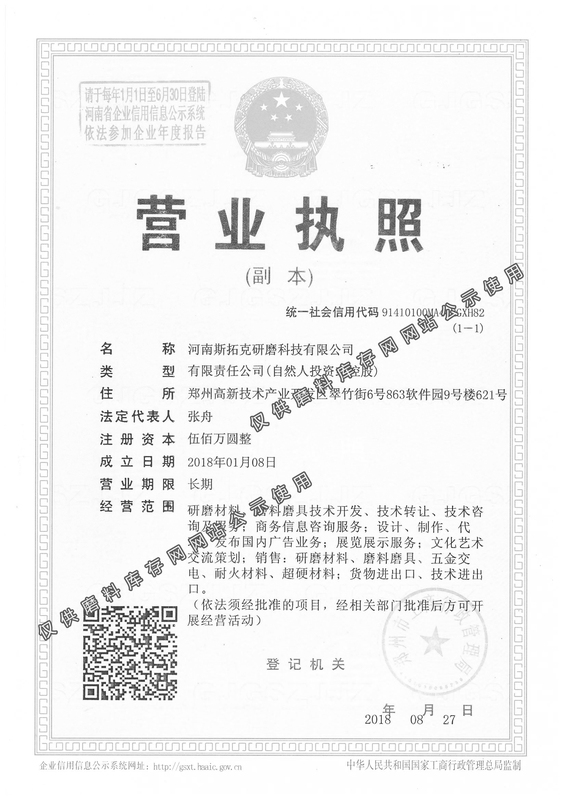 The 10 industry standards come from the second batch of industry standards revision plan in 2016, among which 2 are basic public welfare projects and the remaining 8 are general projects.In national abrasives standardization technology committee secretariat of the organization and the standard drafting group, with the help of the 10 standard after a lot of research, discussion, validation, and advice, etc, on October 17 to 21, 2017 at the annual meeting of the standard of review in chongqing, the assessment and approval of the corresponding points and technical committee on December 26, 2017 for approval, finally published with the approval of the announcement. The 10 industry standards are the changes to the project, mainly solves the problems of aging related standard, reflects the new products, new technology, new method of application, keep the advanced and applicable standards, provides a better technical support for production and trade, is conducive to enhancing product quality and technical level, the service transformation and upgrading of the abrasives industry in our country and the high quality development is of great significance.